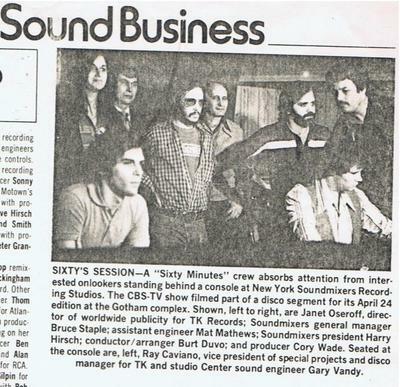 In 1978 the CBS television show 60 minutes did an episode on the process of recording music.. The program featured TK artists Peter Brown and Betty Wright. It was filmed at Sound Mixers in NY but the music was recorded and mixed by Gary Vandy at Studio Center in Miami. The photo is from Billboard Magazine.